This morning, I decided to try doing a run with my iPhone in Airplane mode. I did this because I wanted to see how accurate the GPS positioning will be when in that mode and whether it is a viable sports tracking tool when you are overseas (with no global roaming). I have the iPhone on Airplane mode, enabled WiFi and fired up four running apps. (I’ve used lots of different running apps, but am currently using these 4. Might do a review on them and share why I have chosen these 4 apps). Once the apps were running, I checked that there is a location in each of them before leaving the house and starting them when I begin my run. I have all the apps set to provide voice update every kilometer but during the run I didn’t hear any updates from Sports Tracker. RunKeeper was providing a lot of voice updates and it was clear during the run that the distance it thinks I have run is a lot further than what I have actually ran. I have the Pebble smart watch which I use in-conjunction with RunKeeper and was able to tell that it was off. Nike Running and Polar Beat seems to give voice updates correctly. RunKeeper reported the run as being further than what I had actually ran. 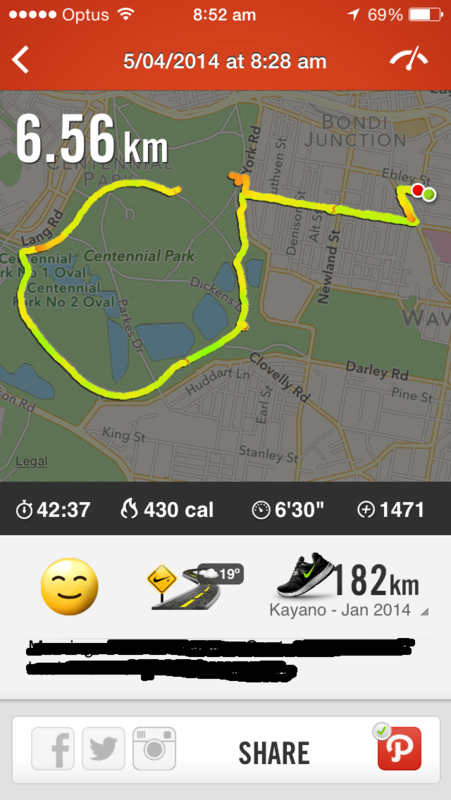 I did a 7km run and it reported that I did 10km. It told me that I had done a personal best in my average pace and that this was the fastest 8-12km distance run I have ever done! I would have been proud if I hadn’t known about the GPS calculation errors. The screenshot on the left was from this morning’s run with Airplane on and the screenshot on the right is a typical activity report. This app also didn’t record any data. So it basically performed the same as Sports Tracker. 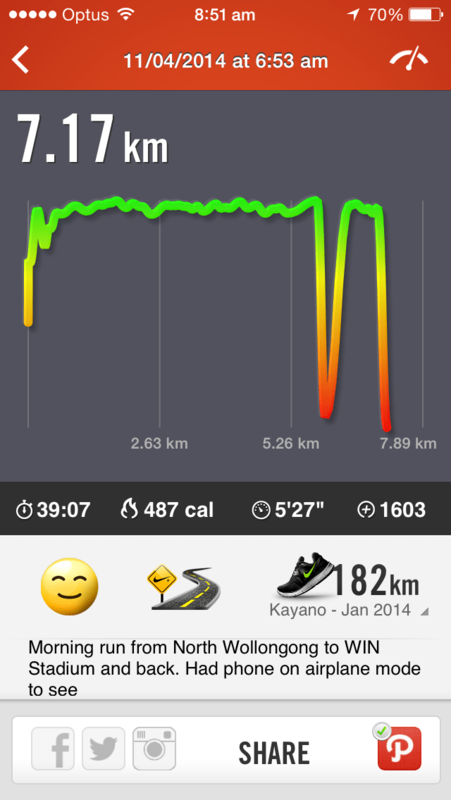 But the app didn’t have an auto-paused feature so it did record my heat rate throughout the run. So I guess it’s not fair to say that Sports Tracker was the most disappointing. I was quite disappointed with the outcome of all the apps. RunKeeper performed the best and had GPS positions, even though in-accurate, so I don’t understand why the other Apps didn’t record the GPS data. Nike Running looks like it recorded GPS data as it showed the distance correctly, but didn’t display the data on a map like it always does. I did some research today about whether the GPS chip gets affected when switching to Airplane mode and it does! I’m surprised by that as GPS is passive and a receiver so there shouldn’t be any reason to shut that down when on an air plane. So with regards to whether this is a viable sports tracking tool to use while overseas and with no global roaming, I’m not sure yet. The results are inconclusive as the GPS chip was switched off. I think I will need to either remove the SIM from the phone or turn of 3G and cellular data on the phone. However turning off 3G doesn’t turn off the iPhone’s radio reception and I wonder if it will drain its battery trying to locate a signal during the run. Might need to do more tests!